Browse or search for the BYUtv app. Select BYUtv, and then select Download. To start the BYUtv app later, go to apps, My Apps, and then BYUtv. When you start the BYUtv app the first time, you'll be prompted to log in using your BYUtv account credentials. Go to apps, My Apps, and then BYUtv. Select register device. A code is displayed. Enter the code at the BYUtv website. In a web browser on your computer, go to cas.byub.org/xbox and log in to your BYUtv account. Enter the code that was displayed in the BYUtv app on Xbox, and then click Submit. 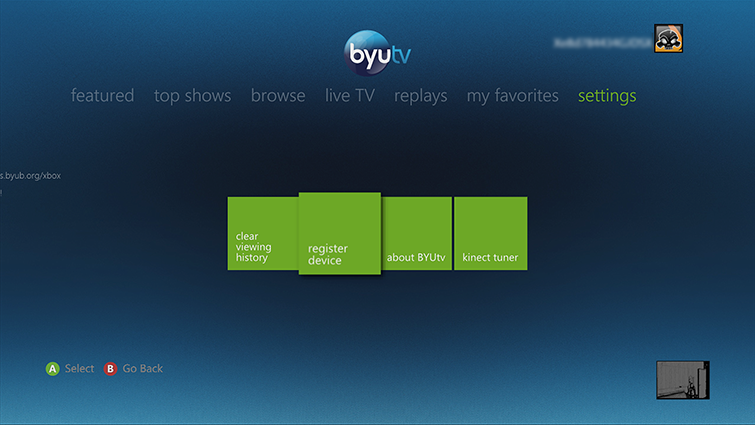 Go to TV & Video, My Video Apps, and then BYUtv. The featured hub is displayed. Select one of the featured shows or series to watch. Watch live TV from the BYUtv channel. Review your BYUtv viewing history. Watch top shows on BYUtv. Watch sports events and replays of previous BYU games. Access settings for the BYUtv app. On the main screen, scroll right and select settings. 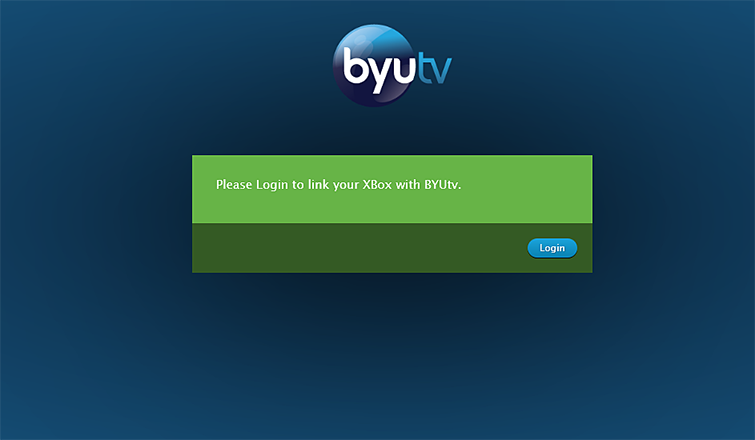 Your Xbox 360 console is now no longer associated with your BYUtv account. To manage your BYUtv account, open a web browser on a PC, go to byutv.org/, and log in to your account. 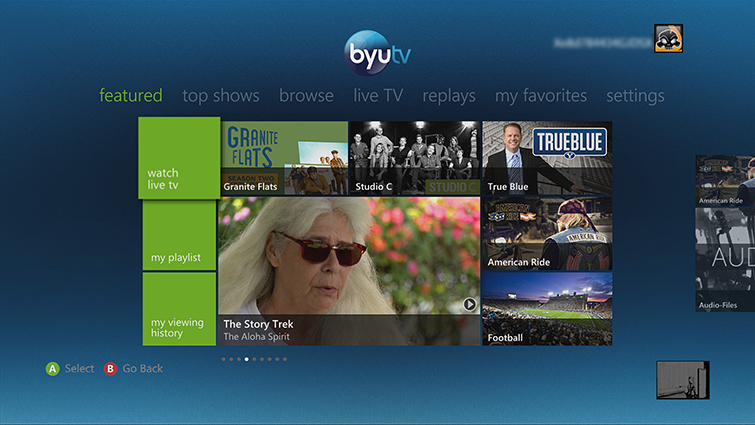 If you use Family Settings to control which movies and TV shows can be watched through Xbox Live on your console, the BYUtv app will follow those settings. For example, if you prohibit viewing of R-rated movies or TV-MA-rated TV shows, those programs will be marked with a “restricted” icon in the BYUtv app. To play a restricted item, an adult must enter the Family Settings pass code. ¿Quieres contactar con el Soporte técnico con referencia al problema "Set up and use the BYUtv app on Xbox 360" acerca del que estabas leyendo o con referencia a otro problema?